Home to the stunning 17th-century whitewashed Chrysopigi Monastery built on the site of an ancient church to take advantage of breathtaking sea views, the island of Sifnos in the Cyclades group of islands is a haven for tourists looking for tranquil vistas and rich Grecian culture among its three whitewashed villages. Mined for gold and silver in the 8th century BC, Sifnos offers memories of merchant trades long past, while boasting modern hotels and restaurants to cater to the chic crowd it attracts. 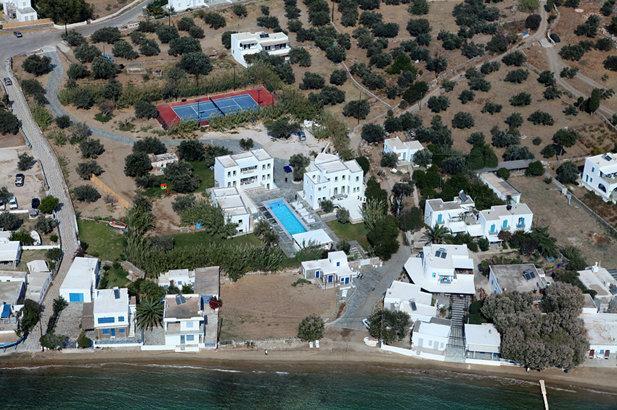 Contact Villa Getaways to book a beach house or an elegant hilltop villa, a remnant of the wealthy, notable families who owned summit estates overlooking the villages and commerce below. A stunning, architect-designed beach house on the lovely, tradition-rich island of Sifnos. 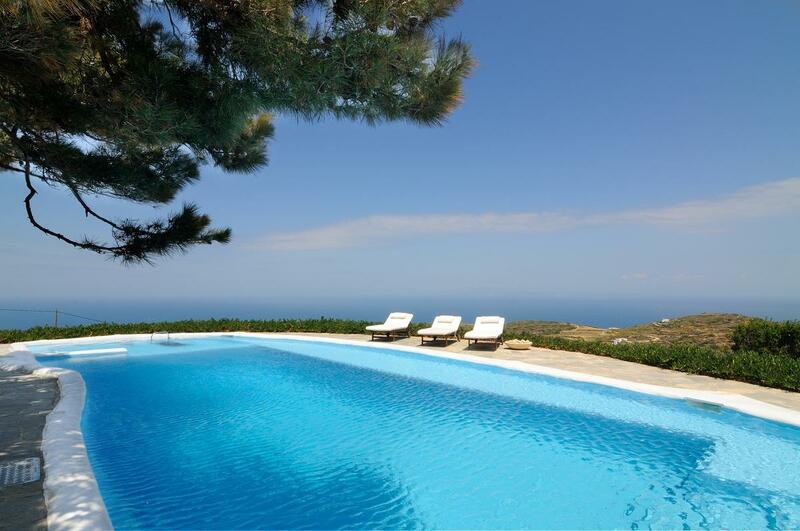 This elegant villa crowns the top of a hillside enjoying panoramic views of 11 different islands of the Aegean Sea as well as of picturesque parts of Sifnos.